Launch: Sam Houston Jones State Park. Good ramp. Secure parking right beside the ramp. Nearby campsites:Right there in an attractive State Park. Comments: This launch site gives you access to both forks of Calcasieu River and Houston River. 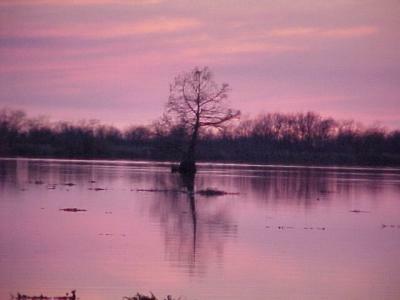 Head south down the Calcasieu and you meet the Gulf Intracoastal Waterway. Now all the Gulf Coast is available. Head east to the Mermentau River and on to Lake Pontchartrain. North off the lake are the Tangipahoa and Tchefuncte Rivers. Neat cruising grounds. 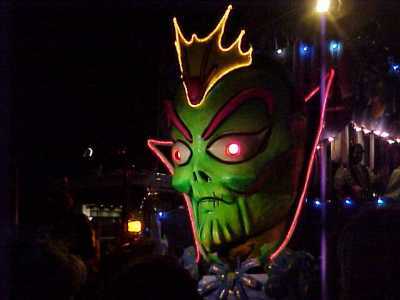 -----"It's almost Mardi Gras time," El said excitedly. "Let's trailer over to Louisiana and join the fun." -----We had been to a Mardi Gras in New Orleans years before, staying with a resident friend right in the French Quarter. It was great fun, but I also remembered the crowds and our friend's warning about pickpockets. "I don't know, hon," I responded. "Might be hard to do with the boat. Marinas will be full, crowds on the streets - is it worth the trouble?" -----El, as you now know, is the risk-taker in our duo. After more than forty years of experience, she knows how to maneuver both boats and me. 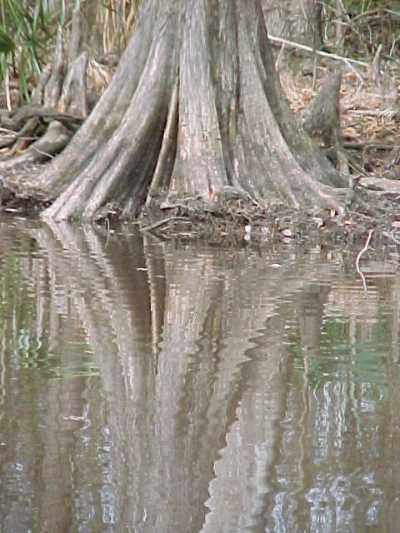 "The rivers in coastal Louisiana would be a new experience on Halcyon. That's Cajun country, with great food and good folks. 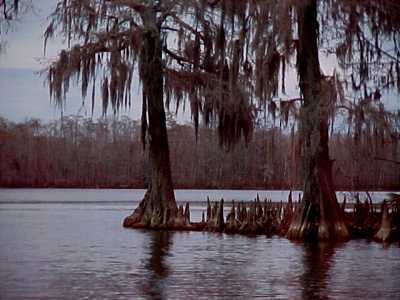 Let's avoid New Orleans and explore the river country. Small towns have Mardi Gras also." See, told you so. She knew how to hook me. 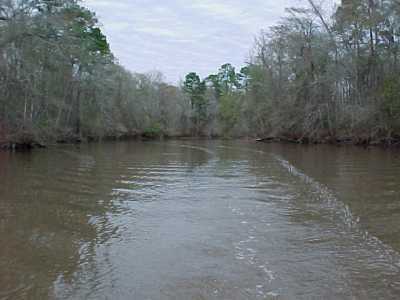 -----We trailered over from Texas to Sam Houston Jones State Park, north of Lake Charles, bought supplies, and launched into the Calcasieu River. 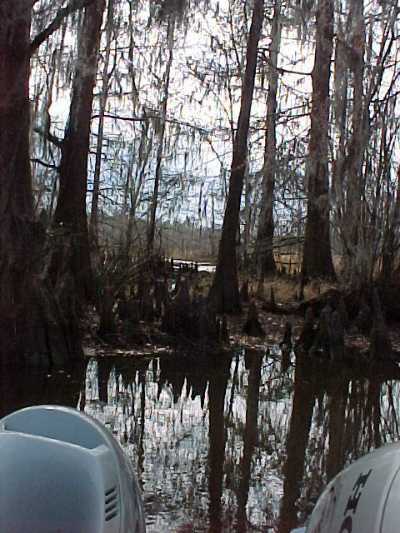 -----"These rivers are just like the 'myth' of a southern waterway," El commented as we explored slowly up the Calcasieu River. 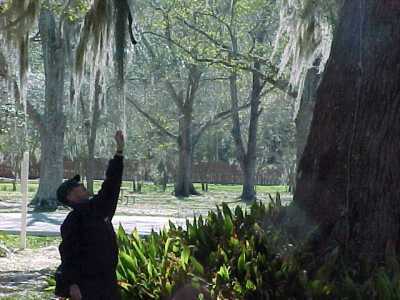 "Spanish moss, cypress forests, alligators, snakes, and bears, oh my!" 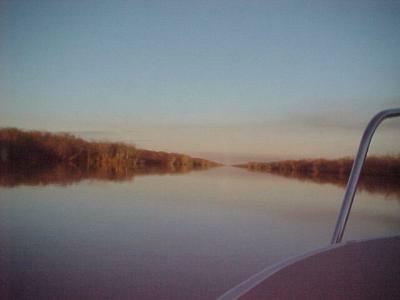 -----The Gulf Intracoastal Waterway connects all the rivers of southern Louisiana. After exploring the rivers near the launch site at Sam Houston Jones State Park, we headed south to the GICW and then easterly along the Waterway to Lake Pontchartrain. This gave access to the Tangipahoa River. -----And we got to Mardi Gras. We cruised up the Tchefuncte River from the north shore of Lake Pontchartrain to Madisonville and tied off at the Marina del Rey. 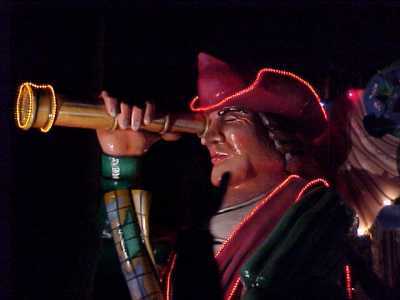 A few miles away, in Mandeville, they had an evening parade. It was great fun, with some terrific floats, many beads, and a good time - a family parade with lots of kids on the streets with their folks. 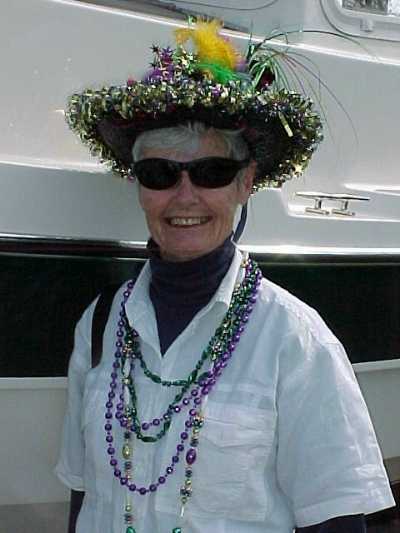 -----The next afternoon, Madisonville had a beautiful Parade of Boats, decorated for Mardi Gras. There were many "throws" for the folks ashore. El had so many beads, she could hardly walk back across the bridge to the party in the Marina.